Premium PU leather gives the Galaxy Tab S 8.4" Book Cover a soft and comfortable texture that ensures your tablet is a pleasure to hold and use. It’s lightweight, easy to carry, and very convenient. Set the perfect angle for whatever you want to do. 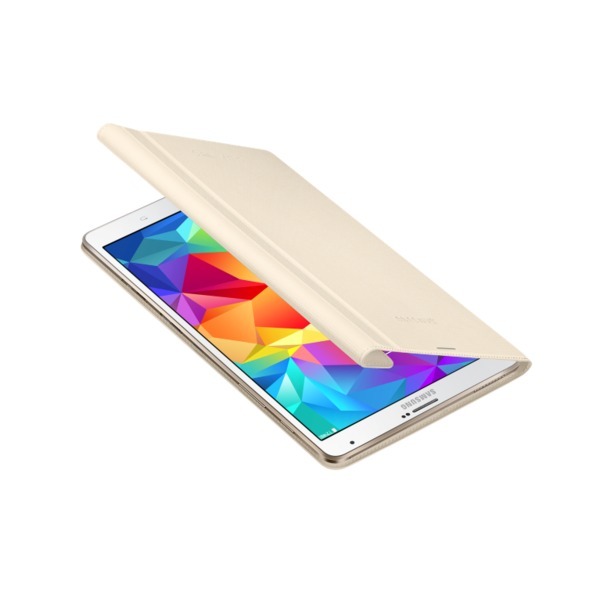 The Galaxy Tab S 8.4" Book Cover features Touch Mode, Viewing Mode and Typing Mode. With these easy settings, you can work or play in total comfort.